Great news! 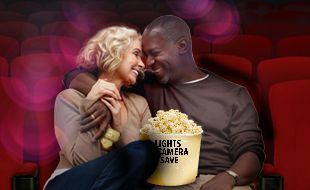 Pensioners can now enjoy an epic cinematic experience and great value with our Pensioners deal for just only R70. 7 days a week! Anytime. Make sure you get in on this awesome deal! Click here to book movie tickets. Sign up today to the Rewards programme and save more when watching latest movies at movies@ and to keep up to date with the latest offers. It’s absolutely free! Exclusively to Rewards members over the age of 60 years. The offer is available for 2D/3D movie tickets, and doesn’t not include 3D glasses.